Rumor has it i’ve been a bit of a workaholic the last few months, and lacking at indulging my inherent wanderlust… so today was supposed to be a quick drive up to SF from LA with dan, but one thing led to another and it became a spontaneous roadtrip/adventure - leading to everything from lunch in a danish town (solvang) - trying danish pancake balls (aebleskiver) - feeding ostriches and emus - a giant tree stump turned treehouse/pirateship on the side of the road in a tile/bricklaying yard - 1797 Mission San Miguel Arcangel - driving by Hearst Castle - seeing beaches filled with elephant seals - cruising up the coast through state parks on cliff hanging roads to big sur - stopping off to admire the view constantly - buying 99 cent chips for $1.79 (cliff view markup?) - seeing otters playing so far below they looked like tiny dots - sunset in Big Sur - martinis and dinner watching the sun fully disappear - and now i’m in Monterey Bay in a luscious king sized bed overlooking Cannery Row and the ocean as i try to get this post up as my photo excuse as to why the posting and editing was a bit quiet today. 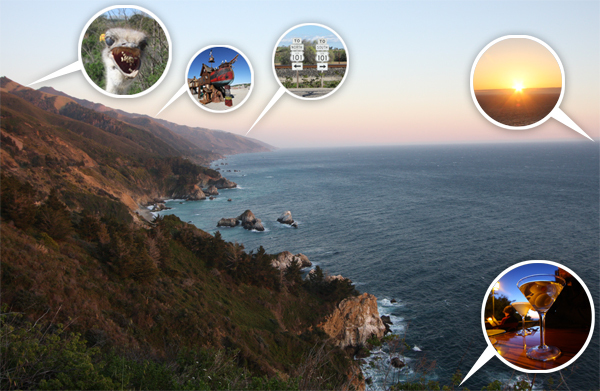 Tomorrow ~ Monterey Bay Aquarium and then back to regularly scheduled working… but for now, catch up on the roadtrip in pics first (as well as a full map of where i’ve been and where i’m headed)? NOTCOT Note: This week has been a bit off… i’m still trying to catch up, but freshly in my inbox are the first rough sketches of NOTConcept 002! Jenny and Leo (of HERO Design Lab and i have been playing with ideas on what can be done to create more ambiance in our outdoor spaces. We played with discussions of solar power, lighting, music, projections, and just subtle objects that add character to our spaces. Ultimately we decided to head in the direction of outdoor speakers you least expect… creating a whole new way to achieve surround sound outdoors without needing to completely “hide” your speakers. As with NOTConcept 001 feel free to comment and brainstorm with us as we stretch our minds and play with new ideas. First sketch above is the Gnome idea… Tapping into the kitchy world of garden ornaments - this media pod channels the essence of garden gnomes. You could have a clan of ‘gnomes’ that would generate your surround sound/light/projection/media experience. 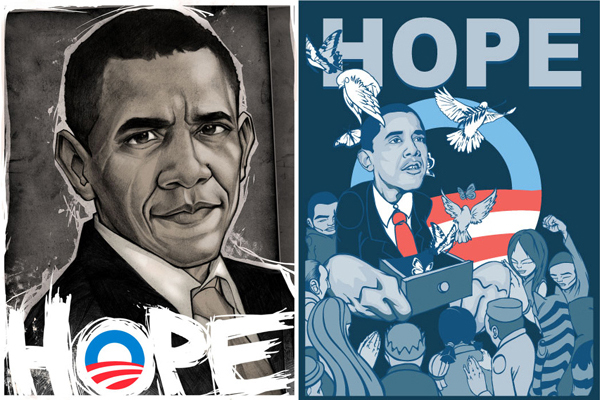 See the sketches of the other 5 ideas after the jump! 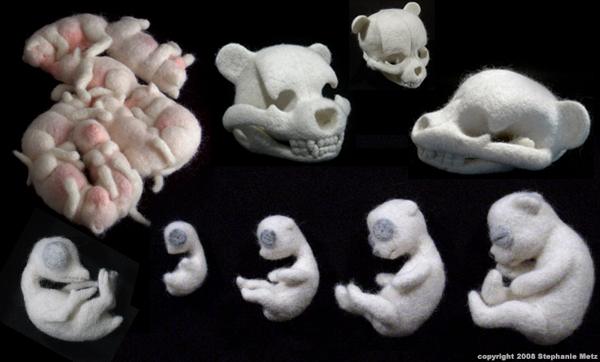 “Wow.” That’s pretty much the best i can come up with initially to describe Stephanie Metz’s incredible use of wool for her felted sculptures exambining the anatomy of of the fetal development of teddy bears, and their skulls… and that before you even see her large breasted cow, leggless lap chihuahua, adorable bull dog and rabbits… See more images below, as well as an excerpt on her process to develop these intriguing creatures! I saw these over at DesignBoom, which led me to sweetest blog i can’t believe its taken me this long to discover, Street Anatomy… anyhow, see after the jump for more pics of Metz’s felted creatures! 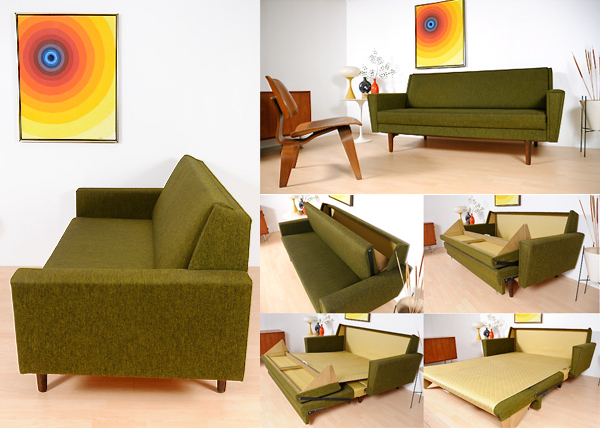 I somehow wandered across the internet to Mid-Century Modernist where i encountered this crazy 1968 Danish Sleeper Sofa that lives on ebay… and its right in the LA area for pick up. Really as *just* a sofa, i’m not that floored, but the craziness by which it opens into a sleeper for two is interesting to take a look at. More images after the jump! Regardless of whether you did or did not attend TED this year, the TED BIG VIZ pdf book is a MUST download for anyone visually oriented looking for a burst of inspiration. What is it? 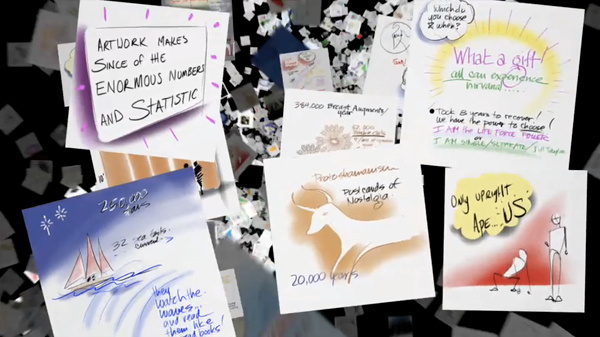 The BIGVIZ is an exploration in visualizing the Big Ideas presented on the TED mainstage. Two visual cartographers, David Sibbet and Kevin Richards, created over 700 spontaneous sketches of the presenters’ ideas using Autodesk Sketchbook Pro software running on Wacom Cintiq tablets and rendered on a Perceptive Pixel multi-touch display. 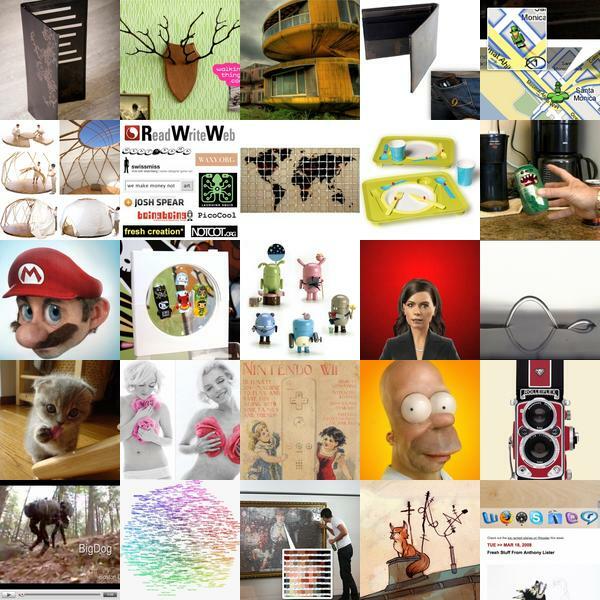 These tools illustrate the power of interactive visualization to present the big picture to foster insight and communicate ideas visually, central principles of design innovation. I just went through all 200 pages (i even picked out a few of my favorites for you after the jump)… and its incredible, to see their sketches of the “big ideas” and things that grabbed their attention throughout the talks… seriously, the 700 “spontaneous sketches” are breathtaking. When you have a sec, the BIGVIZ movie is pretty sweet as well. Discovered this through the wonderful Information Aesthetics! This has been a very strange day, and its only 11am. Yes, usually i’m still snoozing at this hour, but was up at 7am, stats broke one of our servers last night! 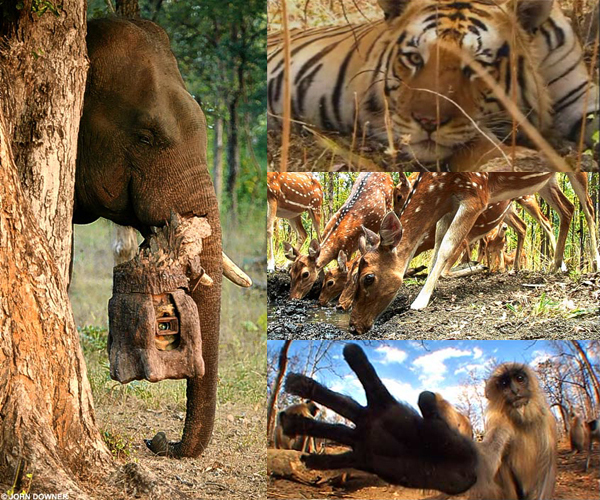 Sorry about that, urgh, but thank goodness for the guys at wiredtree who take such good care of us…. and then had breakfast with Souris Hong-Porretta ~ the woman is incredibly inspiring, add her to the list of people to be like when “grown up”, and hearing about all dot com days reminiscing about things like ChickClick (i never knew Heidi Swanson of 101 Cookbooks was THAT heidi), i can’t help but wish i were a tiny bit older to have been more conscious and active in all that was happening in the 90s… i’m rambling again, sorry, low on sleep, high on energy and ideas… and well, it’s fun to get some perspective and chat with people as buzzing about the intersection of tech/design/gaming/film/art/music/internet/etc. Moving along, mail call! 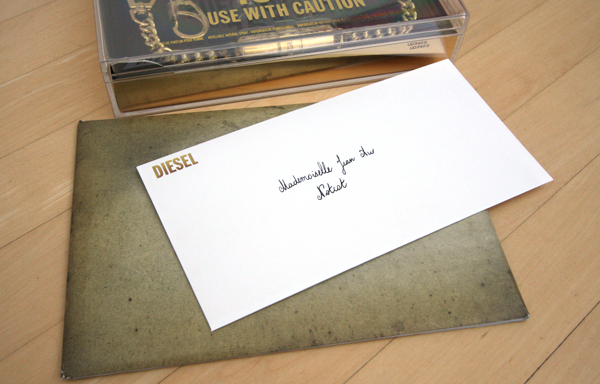 Came home to a fun surprise from the boys at Diesel’s Fuel For Life Fragrance department in paris… Remember what i thought was a bracelet? Well it turns out i was wrong. And they’ve proved me wrong by sending one over… its a big hefty shiny gold jean’s chain that holds a little vial of Diesel’s Fragrance, and it’s refillable! Also awesome are the giant playing card like info cards that come with a CD of press pics. Gotta love the packaging. Anyhow, lots of pics below to catch you up. Generative Design: The design is based on a generative script, creating branches out of the primary structure of the tower. Inspired by the structural concept of Eiffel of three-dimensional cross bracing beams, the script unfolds along curved lines the “DNA” of the tower. The script used the existing structure at the top of the tower ( a 10 by 10 meters cube) to generate 3 structural weaves, which are interconnected. These layers are combined to create a woven complex, which is based on the redundancy and the non-repetition of patterns to increase its structural performance. 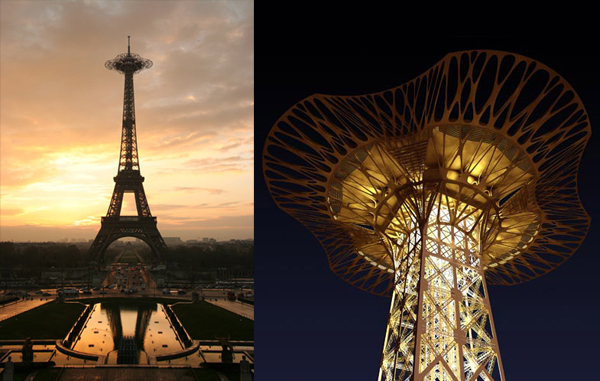 In opposition with modern engineering (based on the concept of repetition and optimization), the project for the Eiffel tower extension is based on an alternative model of high performance. 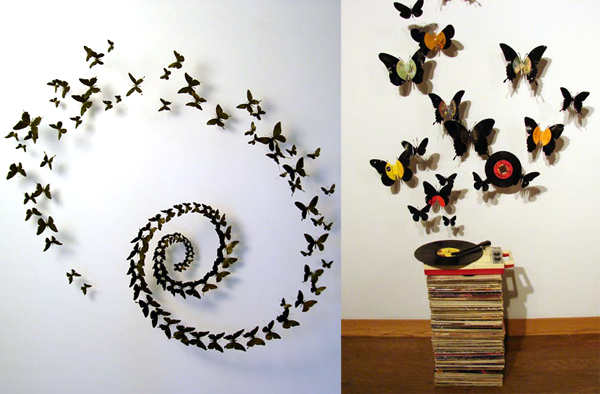 While at CA Boom V, the Jonathan Ferrara Gallery had a booth with a mesmerizing series of Butterfly Installations by Paul Villinski. Apparently he is quite the recontextualist of found objects… transforming found gloves into dresses and comforters, wheelchairs and radio flyers into planes, and my favorite - beer cans into butterflies which when installed appear to be flying and fluttering with every breeze. Villinski’s site describes this collection: “These pieces explore themes of transformation and recovery through the metamorphosis of crushed beer cans from the streets of New York into flocks of realistically crafted butterflies.” See close ups of the CA Boom installation and others after the jump! Ah, how i love Wooster Collective ~ getting me my daily dose of street art in all its glory. But tonight it wasn’t the art that grabbed me - i couldn’t help but giggle when i saw their latest masthead image… making the best use of a Mac OS X’s Dock icons… and the folder window… the file name seems to imply that it is made by a James Selby. 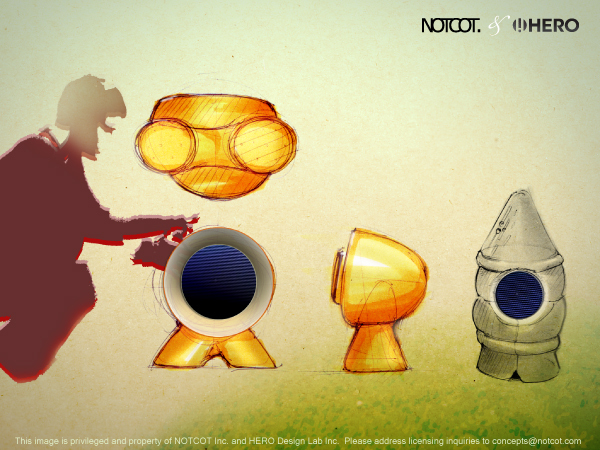 Can you believe we’re already at the final installment of the first NOTConcept, a NOTCOT and HERO Design Lab collaboration? 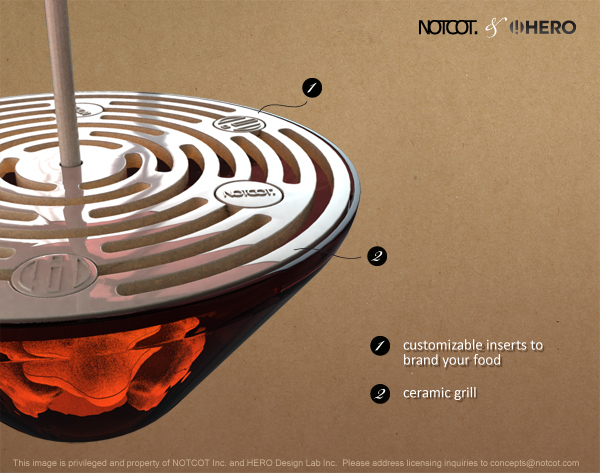 So, you’ve seen the research, the sketching/brainstorming, the concept development, and here is our final piece of NOTConcept 001 - the Ultimate Grill! 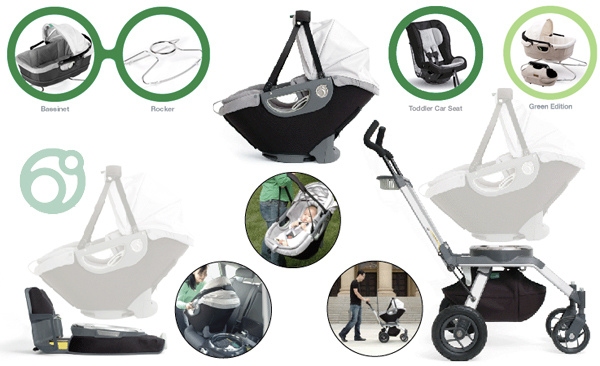 Here are the 3D renders of the product, and some photomontages of the product in context. Lots to see after the jump ~ in particular, i love the details of how you can swap in different logos/symbols/anything really in the grill plate itself to mark the food differently (whether that is NOTCOT, or “medium rare” and “well done”, or a little veggies only symbol)… also its versatile enough to be hanging, or with a floor stand… anyhow see below and the details are outlined!